Since I neglected to include pictures in the last post, here they are. Adam's head, and the Top Shelf Booth across from us. The view directly to my right. The aisle behind us. Check out all the people! The show off to my left. Betcha didn't know Adam was in the new movie Zombieland. 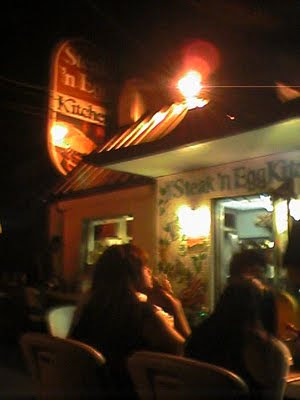 The Steak and Egg where we went after the show for a late night breakfast. 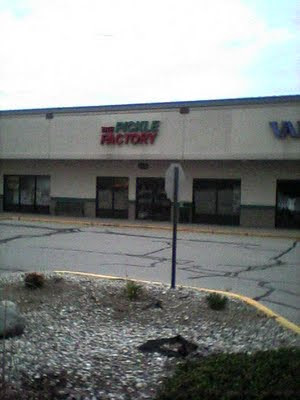 The pickle factory just happened to be next to a place we stopped at for gas. Convenient. 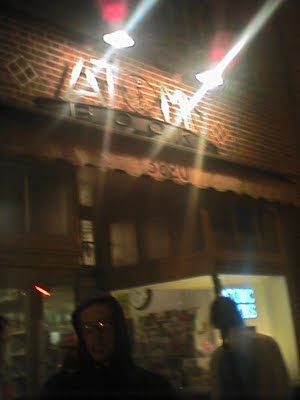 That's Neil outside of Atomic Books on my crappy Camera Phone.